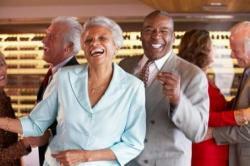 There are many group senior citizen activities to enjoy. Arts and crafts - Local artists and craftsmen frequently volunteer their talents and time to teach crafts to the elderly. Fees often involve paying for supplies. These classes may last over a period of several weeks. Some centers feature the finished projects at art fairs as well. Exercise classes - Yoga, tai chi, stretching classes, chair exercises, and water exercises all offer low-impact physical fitness alternatives, and these are wonderful group activities. Field trips - Community centers often organize day and weekend trips to outlet malls, shopping malls, theater productions, festivals, and sporting events. Dances - Whether you want to step back in time and move to the beat of the big bands, or tap your feet to a square dance call, many senior centers focus on keeping their members active by providing dances, often on a monthly basis. Bingo and other games - Centers often organize game nights, with tables set up to host bingo, bridge, and other card games. Auctions - Some seniors love to attend and participate in auctions. These auctions could include products contributed by local merchants, handmade pieces contributed by the senior citizens themselves, and other items. Bus trips - For many elderly, transportation is limited to catching rides from neighbors, family, and friends. Many senior citizen centers run shuttle buses to local shopping centers, community centers, and scheduled community events. 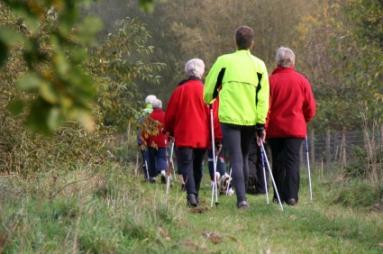 If you're still searching for senior group activities, focus on your interests and hobbies. Gardening - Local gardening groups often adopt areas of the community to beautify. RV and Travel Clubs - For the active senior citizen who loves to travel, organized RV trips to RV resorts and other areas of interest provide a wonderful opportunity to share a love of travel with others. Ham Radio - The America Radio Relay League offers amateur radio operators a variety of information and activities. Fishing Organizations - Search for national fishing organizations at this Outdoor Adventures. Pet Lovers - The Animal Humane Society offers animal lovers an opportunity to share their love and concern for animals by volunteering at local shelters. Sewing Organizations - Share your interest of sewing with others. Sewing organizations such as the American Sewing Guild offer wonderful group elderly activities for sewing enthusiasts. Needlepoint Associations - Love to crochet and/or knit? Look for other needlepoint lovers at Needlepoint.com.